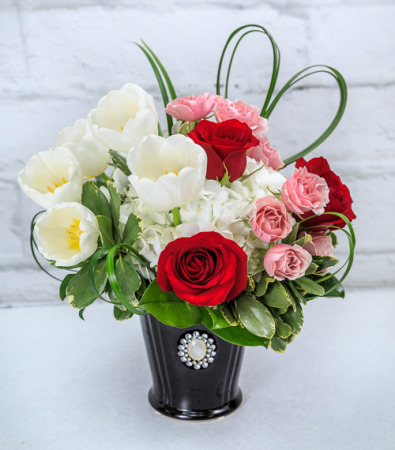 Love Mom Keepsake in South Milwaukee, WI - PARKWAY FLORAL INC. 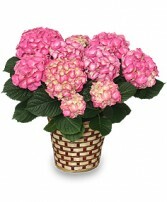 Locally grown Tulips are featured in a designer cameo pot with lush Hydrangeas, Roses and detailed greenery. RETURN THE LOVE... 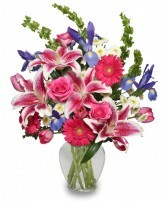 SEND FLOWERS!This lush arrangement is packed with fragrant Stargazer lilies and a seasonal mix of exquisite blooms. 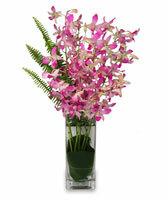 Order online 24/7 or call us for a personalized version of this exquisite bouquet.